I am so grateful for all of the administrative support that Projeto Arcomusical has received in oder to record an album this summer and travel to Brazil. Check out the video NIU shot that talks about Dr. Greg Beyer’s Fulbright and the work that he and I have done over the course of five semesters! This is my first composition that incorporates a speaking element in the music. The text is excerpted from Charlotte Perkins Gilman’s short story about a woman who goes insane. The text and music intertwine because as the text becomes less sane, the music grows more out of control and hectic. I premiered this piece on my Senior Percussion Recital at Northern Illinois University on March 1, 2015. 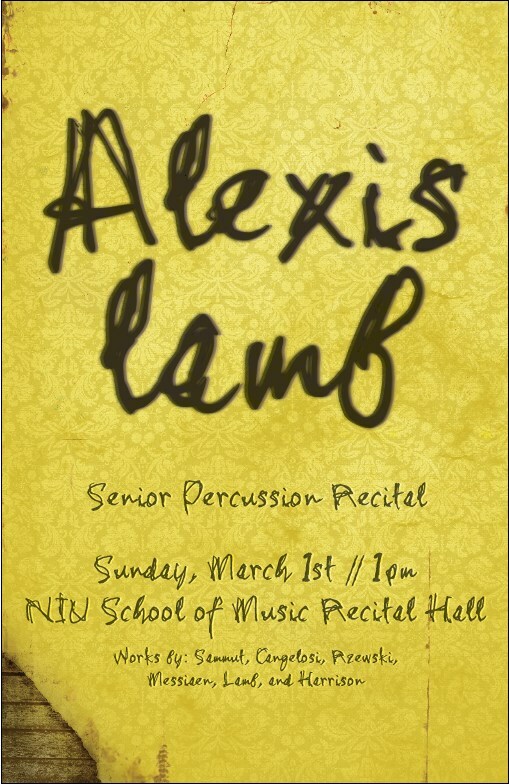 Alexis Lamb Senior Percussion Recital with LIVE WEBCAST! I am super excited to share my love of music with the community, and I hope you enjoy! Here is an article that I submitted prior to PASIC 14 that describes the work of Projeto Arcomusical, our event at PASIC, and our future. Big news coming soon for Projeto Arcomusical! Stay tuned! Here is a video performance of my newest berimbau composition, Mudança de onda! This is part of the twelve-work song cycle that Gregory Beyer and I are co-composing for the berimbau. Mudança de onda was premiered at the Northern Illinois University Percussion Ensemble Concert on November 10, 2014 and was part of the Arcomusical PASIC 14 Tour. This video was filmed at the Quilombo Cultural Center in Chicago, home of FICA-Chicago. Big thanks to Contramestre Beto Defreitas and Treinel Huu Nguyen for allowing us to record in their beautiful space! Enjoy! 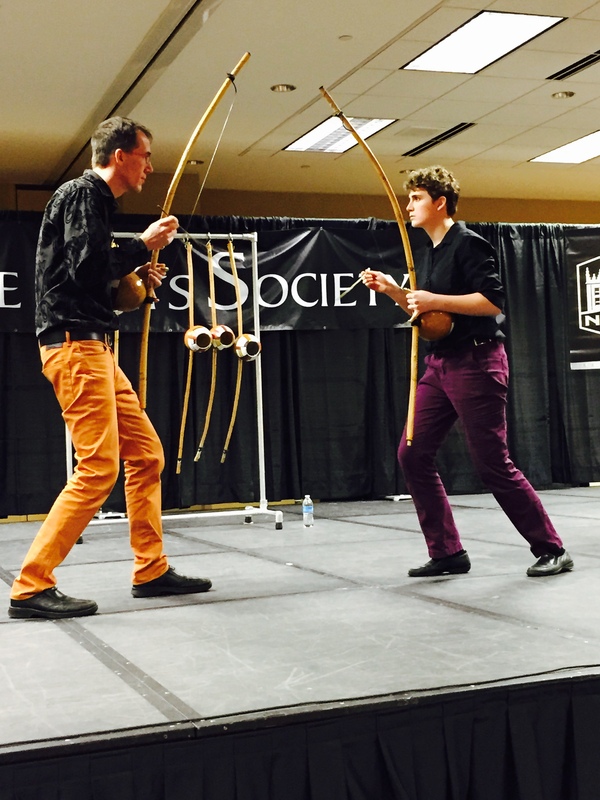 This past November, I had the incredible opportunity to share my berimbau compositions with the percussive community at the 2014 Percussive Arts Society International Convention in Indianapolis, Indiana. Projeto Arcomusical, the professional ensemble for Arcomusical, performed seven of the most recent works composed by Greg Beyer and myself for the Afro-Brazilian berimbau. Of these seven pieces, Descobertas por pau e pedra, Caída de quatro, and Mudança de onda were three of them. The performance was an unforgettable experience, and I was so thrilled and honored to be a guest artist at this year’s convention. 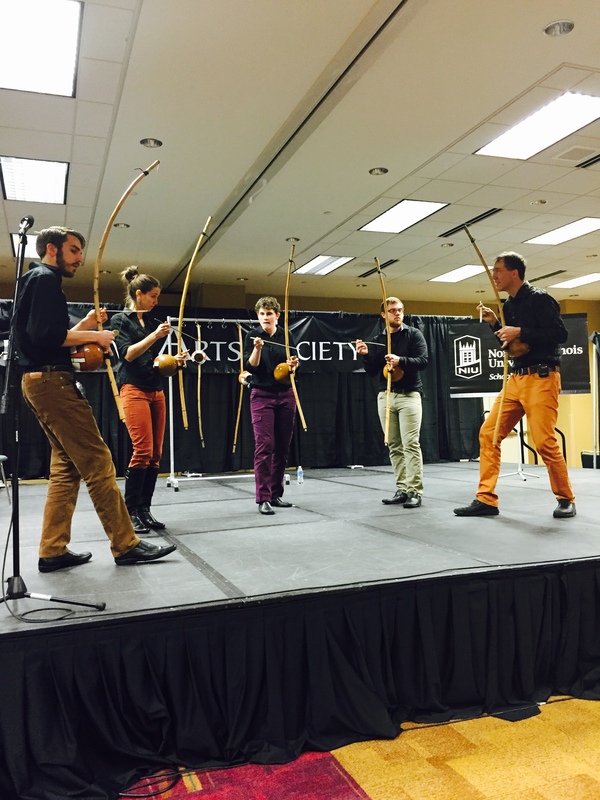 I hope that the performance inspired other people to study berimbau and compose for their own creative outlet. Projeto Arcomusical also toured around Illinois and Indiana prior to the PASIC performance, playing at DePauw University, Joliet Junior College, and Millikin University, to name a few venues. There were thirteen performances and clinics in total. 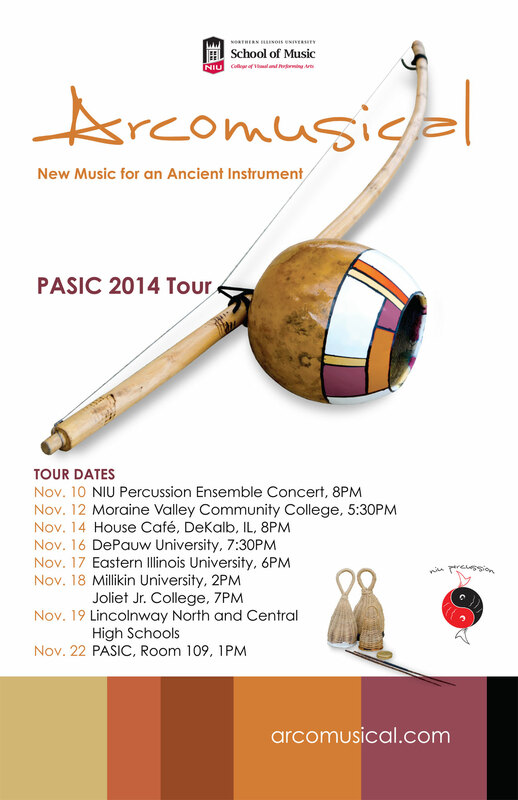 By the end of the PASIC 14 tour, we sold all the berimbaus we had brought with us and scores of our compositions. I am looking forward to seeing other musicians performing these pieces soon!